Kids ready for Christmas Break and are you wondering what to do with them during this holiday break.Well don’t go too far . Here are two nice activities that you can do with kids. 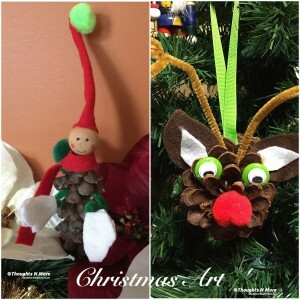 1) Elf on the shelf with Pine cone : Choose a nice pine cone, few felt sheets , some glue, and an wooden ball and you are all set to make an elf with your little elves 🙂 . 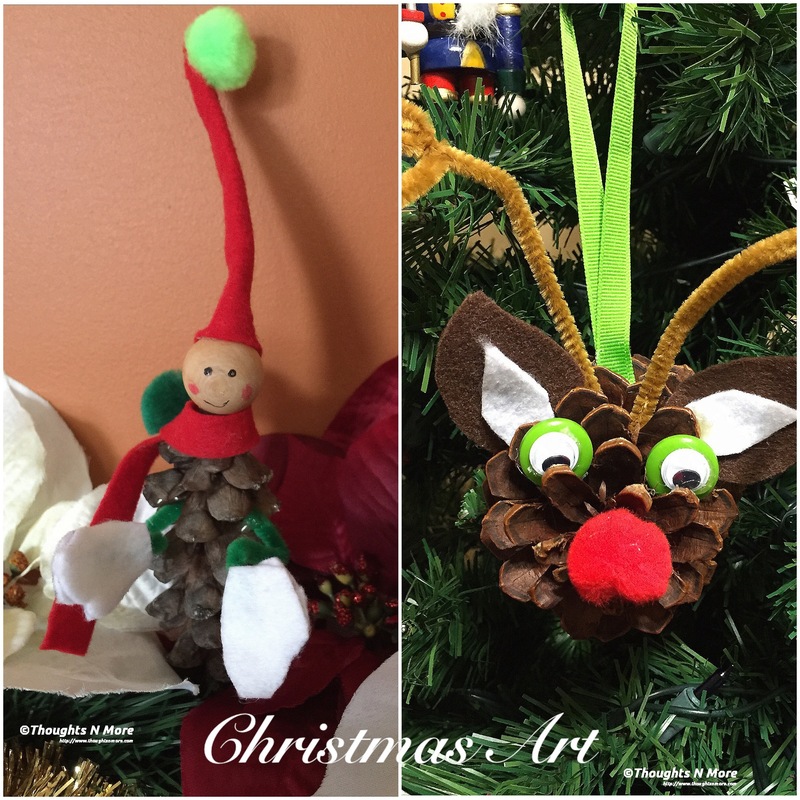 2) Rudolph the Reindeer with Pine cone : Pick a pine cone, pompoms,few pipe cleaners,few felt sheets, Wiggle eyes, and Ribbon (if you want to hang it as Christmas ornament on your tree. You can make different templates and keep different variety of supplies and this can be your Christmas party activity. Attached are the pictures for you to get an idea. Feel free if you have any questions to make the same. This entry was posted in Craft by Preeti Mishra Tiwari. Bookmark the permalink.